We are offering new compact and powerful supply units which cover an extensive range of sizes required by the lighting industry. 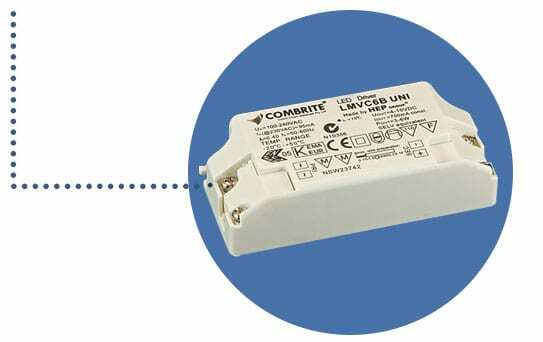 Our Dimmable LED driver range offer an optional solution for modern, energy efficient luminaries. The advantage as low maintenance cost, long lifetime and environmental friendliness are very clear. Using appropriate lighting level only when and where the job sites need it, energy management will become a major source of savings for your facility. Controllable LED drivers allow businesses to make the next step forward in energy savings. TRIAC dimming control represents an easy & cost effective solution to anywhere adjustment of light level is required but control leads are not already installed. Simply with HEP TRIAC dimming devices, it is so easy to bring LED dimming anywhere Without the need for additional control leads and enjoy ultra flexibility & control over every environment.